There are very few fighters throughout the history of boxing who could do everything exceptionally well. Typically, even at the world level, most fighters are great at one or two things that they use to overcome other top level opponents. But when you find one who can do it all with supreme skill, you have found someone special. Andre "SOG" Ward is such a fighter. Ward (31-0, 15 KOs) doesn't have a set style; rather, he changes what he does in the ring-and how he does it-depending on what his opponent is doing and what his strengths are. He can fight on the inside like buzzsaw; he can box beautifully on the outside; he can fight on the back foot or moving forward; and he can do it all while barely getting touched. He finds whatever it is that makes his opponents uncomfortable and will not let up until the fight is over. In fact, what he does so exceptionally well is demonstrate the essence of the great Bruce Lee's Jeet Kune Do martial art in the boxing ring. In interviews, Ward has mentioned his admiration for Bruce Lee, and it's clear when watching "SOG" in the ring that he not only subscribes to many of Lee's philosophies, but due to his incredible work ethic, natural ability, and will, he is also perhaps modern combat sports' greatest embodiment of the Jeet Kune Do (JKD) ethos. Jeet Kune Do (translated: Way of the Intercepting Fist) is an expression of martial arts founded by Bruce Lee. Lee was extremely reluctant to even give his expression a name, as he felt that defeated the purpose of what JKD is. Its core principle is: Using no way as way; having no limitation as limitation. Jeet Kune Do favors formlessness so that it can assume all forms and since Jeet Kune Do has no style, it can fit in with all styles. As a result, Jeet Kune Do utilizes all ways and is bound by none and, likewise, uses any techniques or means which serve its end." These ideals are clearly seen in Andre Ward's fights. He is formless and does whatever is needed to overcome his opponent and any challenges that arise during the bout. In 2009 he faced the excellent Mikkel Kessler in the first bout of the Super Six tournament, which saw the top six super middleweights of the time square off. Kessler was the clear favorite to win the tournament, despite Ward's history as an Olympic gold medalist; Kessler was, understandably, thought to have proven much more as a professional than Ward. Kessler had great fundamentals and timing, but like many European fighters, his biggest weakness could be found at close range. Ward spent the entire bout in Kessler's chest, roughing him up. Ward switched stances throughout the bout to throw off Kessler's offense, and manipulated distance to control the flow of the action. While a few accidental headbutts occurred, Ward's clean punching from close range and his ferocity are what won him that fight with a jaw-dropping 11th round TKO that stunned the boxing world. In 2010, Ward defended the WBA super middleweight world title, which he won from Kessler, against the power punching Allan Green. Ward and his highly insightful trainer Virgil Hunter deduced that, similar to Kessler, Green's weak point-like many power punchers-was that his power was greatest at range. Rather than trying to move away from the "fearsome" power as many fighters do, Ward instead bullied his way inside and banged away at Green there. He eliminated all the leverage on Green's shots, smothering him, and hence took most of the sting out of the challenger's punches. Ward's highly educated inside game, which includes adept manipulation of his opponent's arms (tying up, or pinning, one of his foe's arms while attacking the body viciously with his other, for example), and proper positioning of the rest of his body to control his opponent's (feet, shoulders, elbows, and location of his head-not for headbutting, but for jockeying of position and, hence, control of exchanges), is likely the best in modern combat sports. Conversely, Ward fought the incredibly hard-hitting Arthur Abraham in 2011 from distance and outboxed him over the course of 12 rounds to a one-sided decision win. It appeared early in the bout that Ward tried to get inside and something deterred him from staying there (perhaps Abraham's physical strength); so he decided to stay on the outside. He slipped the huge majority of Abraham's heavy punches, used his superior speed, intelligence, and understanding of his opponent's body language and habits to get ahead of Abraham's actions to either avoid them altogether or respond with seemingly almost superhuman speed. Carl Froch, following his 2011 loss to Andre Ward, summed up the experience articulately and honestly. "I couldn't get anything going and that is due to Andre Ward. I wanted to put shots together, but he ducks and he slips and he slides. I tried desperately to get shots off, but I never found myself in the zone. He was either too close, smothering me, or too far away. He did a good job of keeping himself out of harm's way. "The name of the game is to hit and not get hit and he did that well. Even when he was tired, he was excellent." Ward's goal isn't so much to make his opponents fight his fight, but rather to create a whole new fight that his foes weren't expecting. It's as if his opponents find themselves caught in a maze where every possible point of egress has been closed off. They often seem perplexed, as if they can't figure a way out of the situation Ward has put them in. This would be impressive no matter what, but considering Ward has shared the ring with some of the best boxers in the world-many of whom were favored to beat him-it's more than impressive. It's exemplary. In the lead-up to his November 2016 fight with Sergey Kovalev, Ward stated in an interview that, years ago, his trainer Virgil Hunter had told him, 'Taking a punch, some of it's physical but a lot of it is mental. Make up your mind right now that no matter what this man hits you with it is not going to be enough.'" "Approach Jeet Kune Do with the idea of mastering the will. Forget about winning and losing; forget about pride and pain. Let your opponent graze your skin and you smash into his flesh; let him smash into your flesh and you fracture his bones; let him fracture your bones and you take his life! Do not be concerned with your escaping safely - lay your life before him!" Ward displayed exactly this in his bout with Sergey Kovalev, his closest win to date. He overcame a second round knockdown--but more importantly, the Russian's astounding timing-- to rally and win. Ward largely achieved his victory by showing Kovalev different looks with angles, feints, and switching up his own timing, which impressively threw off the bigger man's uncanny ability to time. Ward also employed a vicious body attack on the inside that got stronger as the fight went on. Ward's tenacious will was on display as he also outfoxed Kovalev from the outside at different times in the bout-a masterful feat considering Kovalev was hard to beat if he could get leverage on his punches. After he was knocked down by a right hand in the second round, Ward effectively took Kovalev's right hand away-the Russian threw it very rarely the remainder of the bout, and never landed it to good effect again. As the fight went on, Kovalev showed signs of distress and confusion, like most of Ward's opponents. And despite the size and perceived power difference, it was Ward who drew blood in the fight when he bloodied Kovalev's nose in the tenth round. Ward didn't get the widespread credit he deserved after such a performance because all that some detractors could see was him struggling. But consider it using Lee's teachings as reference. It shouldn't be about whether you struggle; it should be about whether you're able to rise above it and find another gear to switch into to beat your opponent. To put it into Lee's terminology, Ward may have had his flesh smashed, but he metaphorically took Kovalev's life. 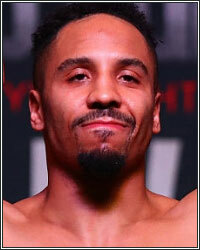 He took all that Kovalev offered-which was formidable--but Ward went a step further, just as expressed by Lee. He took it to a different level where Kovalev simply wasn't willing, or able, to go. Hence, Ward "took Kovalev's life" because he was able to make adjustments and go to different levels when his opponent couldn't. Andre Ward's skillsets, techniques, intelligence, and fighting philosophies are even more fascinating when studied through a Jeet Kune Do lens. He embodies Lee's teachings, and in doing so has proven that he's not only one of the most gifted fighters of all time, but an inspiration to artists of all mediums and anyone who strives to overcome adversity. Just the way Bruce Lee wanted it. "Be like water making its way through cracks. Do not be assertive, but adjust to the object, and you shall find a way around or through it. If nothing within you stays rigid, outward things will disclose themselves.